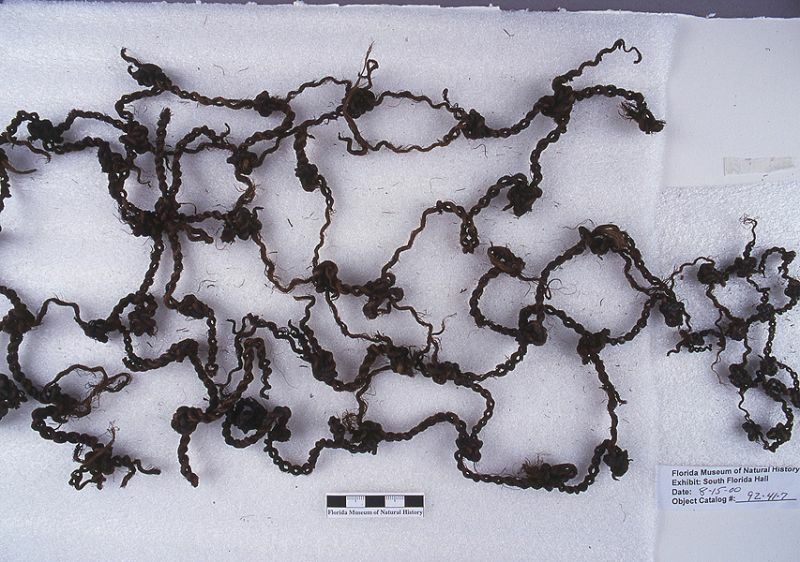 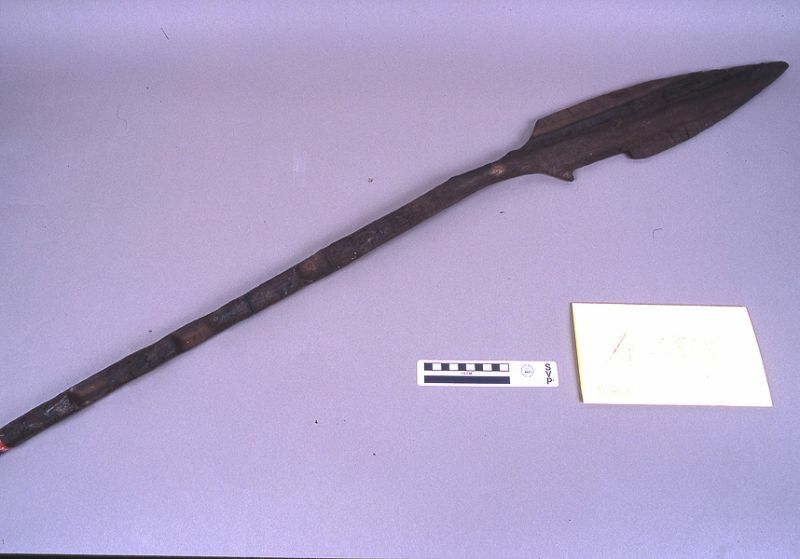 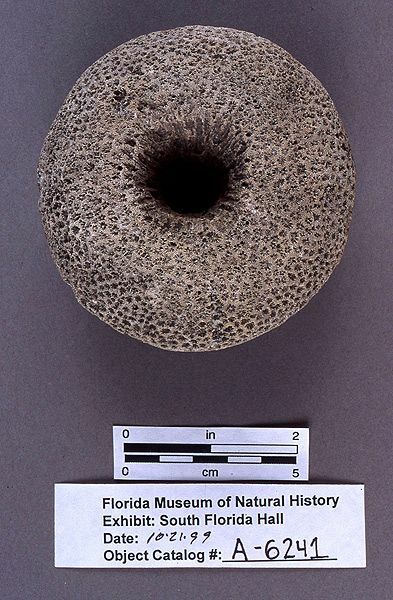 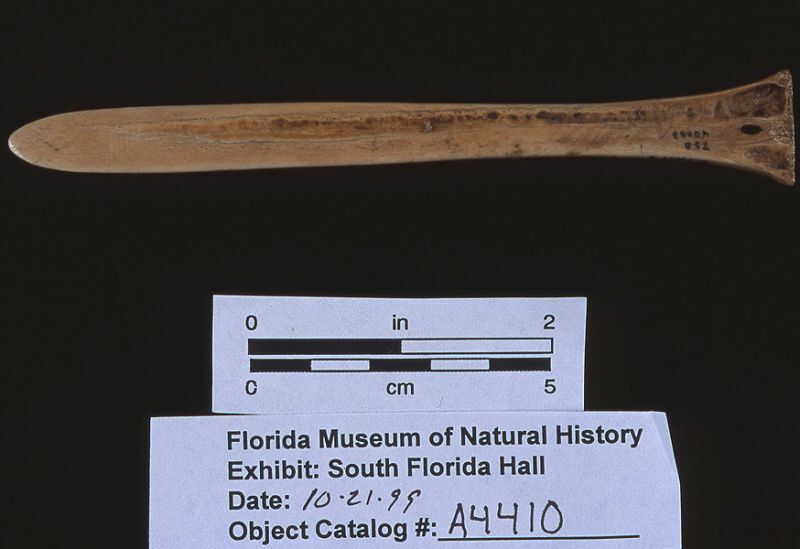 Perhaps the best known collection from South Florida, this group of artifacts was excavated in 1896 from a waterlogged site on Marco Island, Florida. 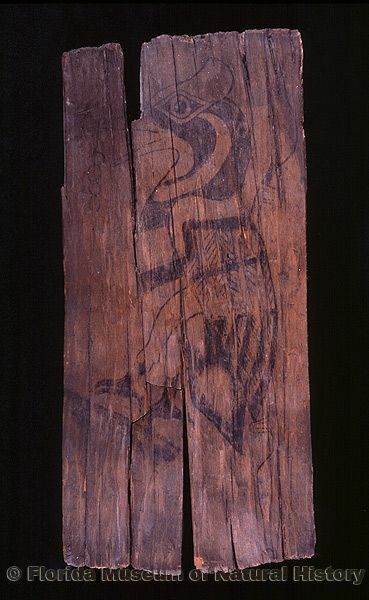 Unusual conditions of preservation allowed recovery of netting, cordage, wooden boxes and bowls, bone implements, several extraordinary carved and painted masks and figureheads, and a famous 6-inch-high carved wooden seated feline figurine. 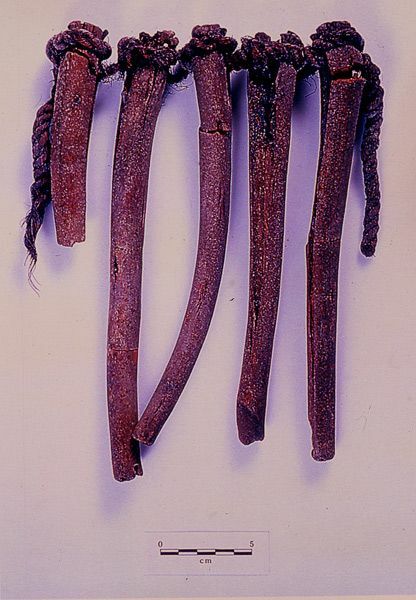 They are recognized worldwide as remarkable specimens of Native American artistic achievement. 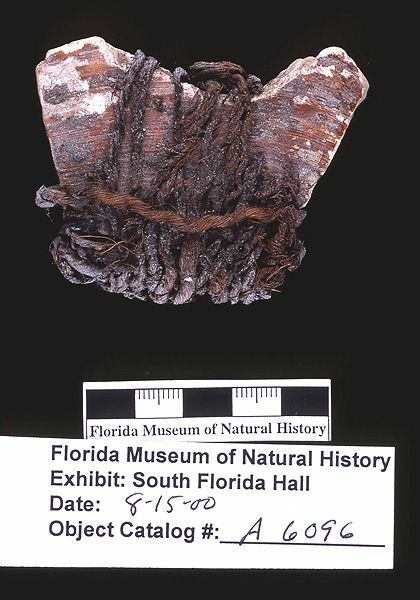 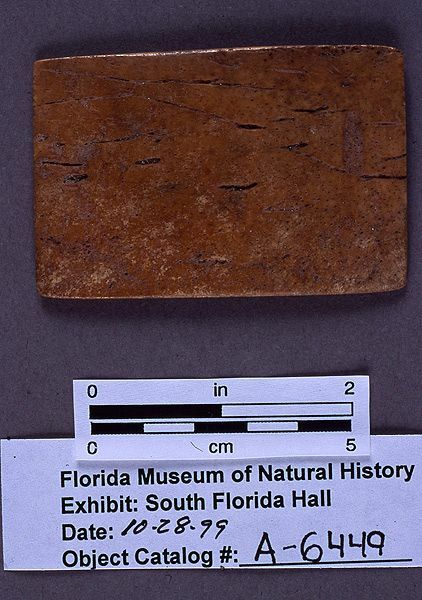 The Key Marco materials are principally divided between the University Museum, University of Pennsylvania; the National Museum of Natural History, Smithsonian Institution; and the Florida Museum of Natural History, University of Florida. 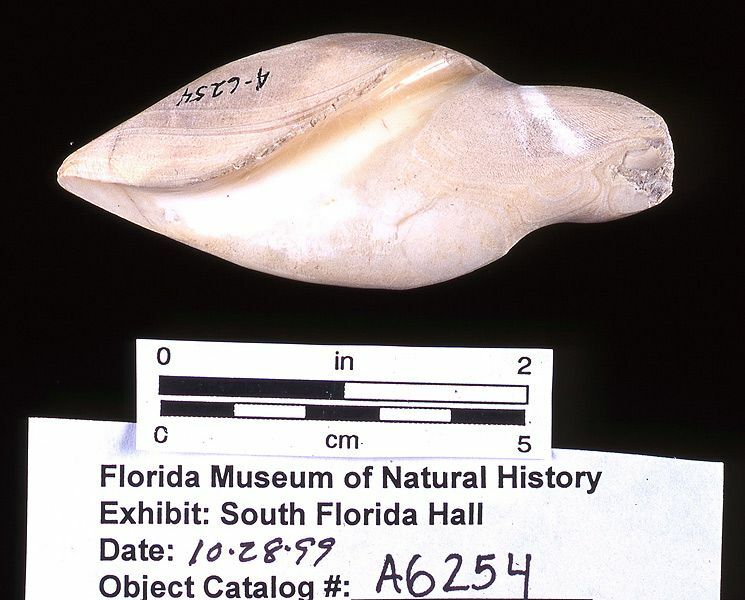 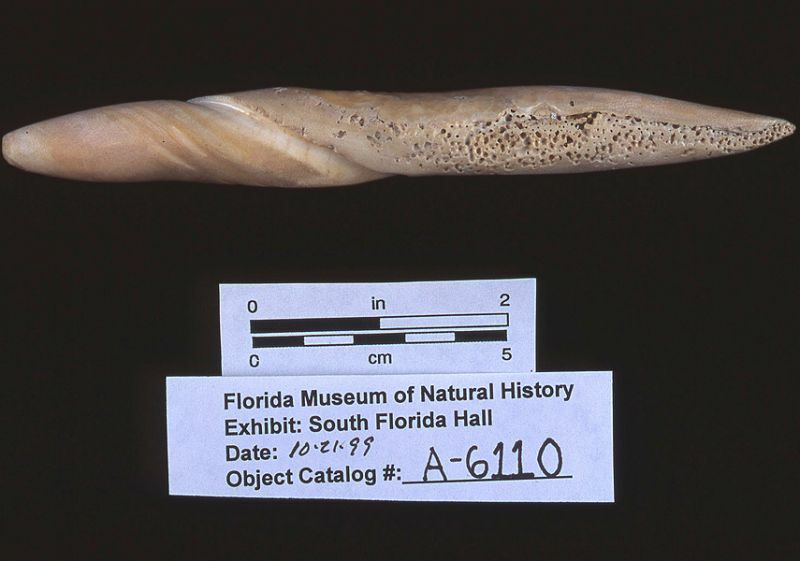 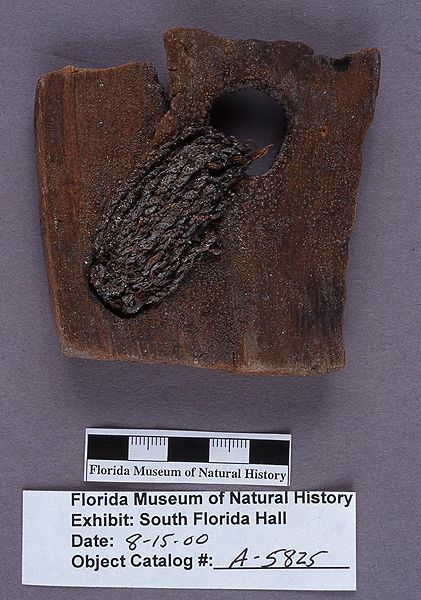 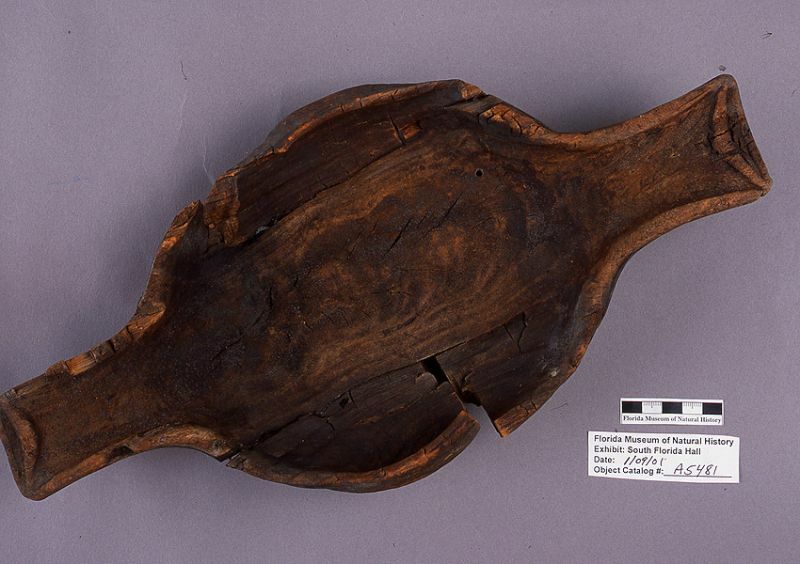 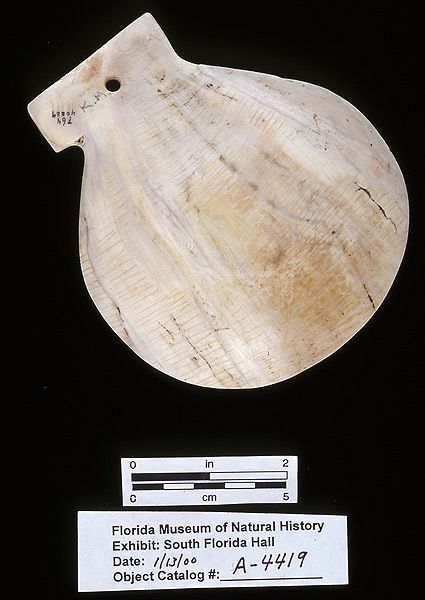 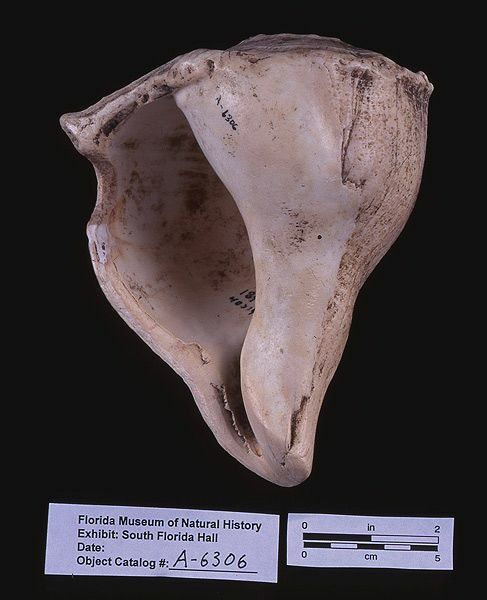 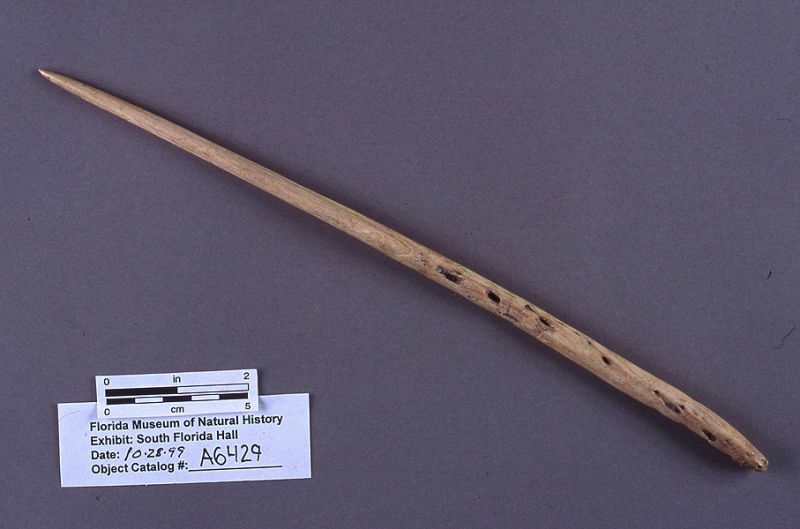 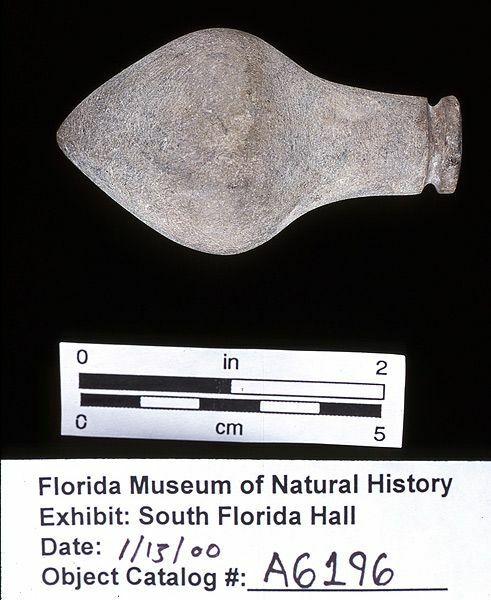 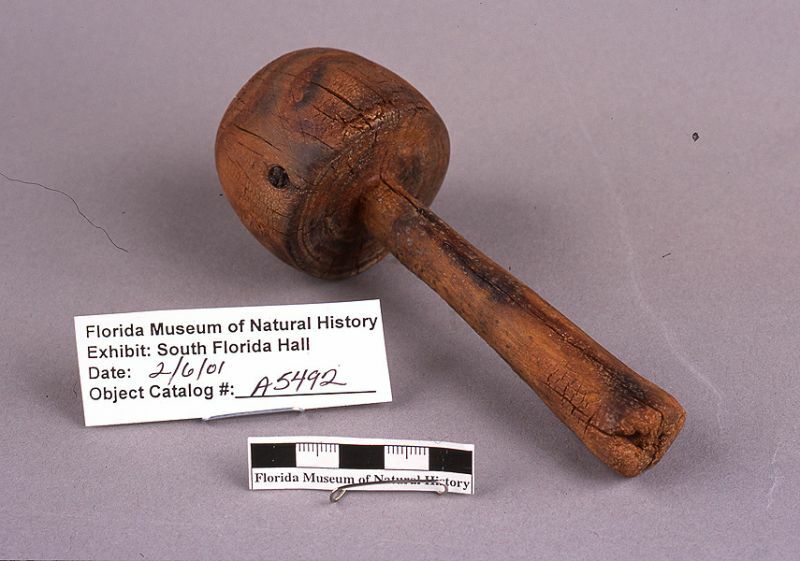 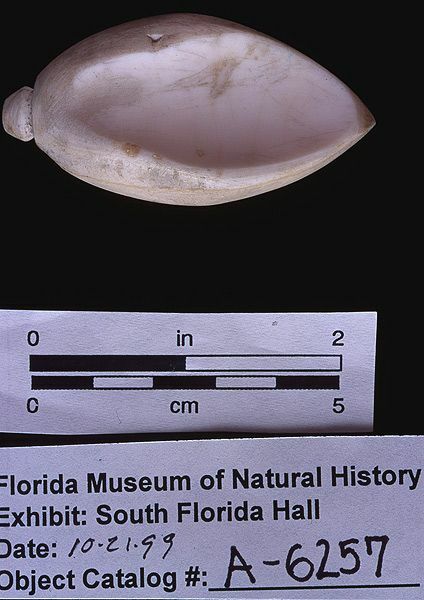 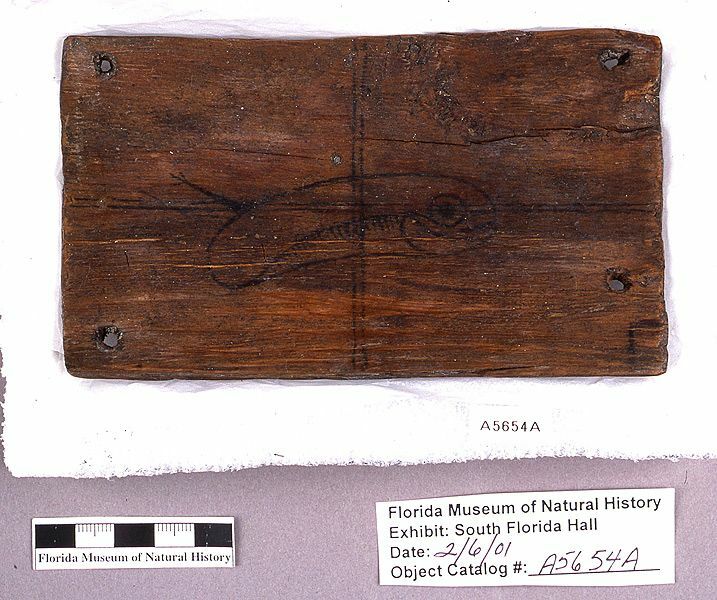 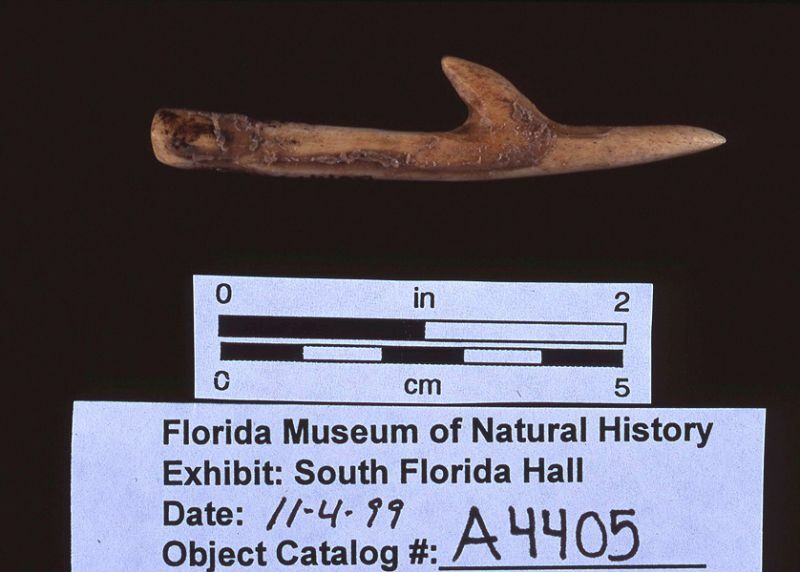 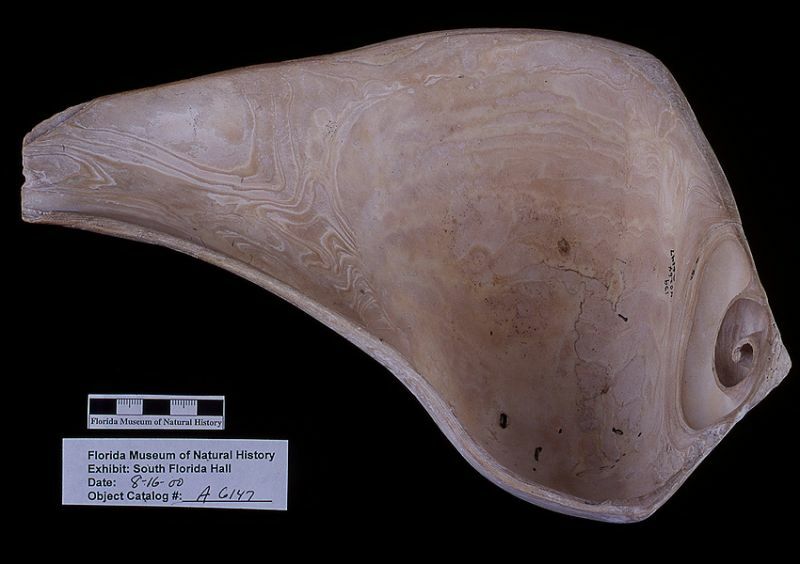 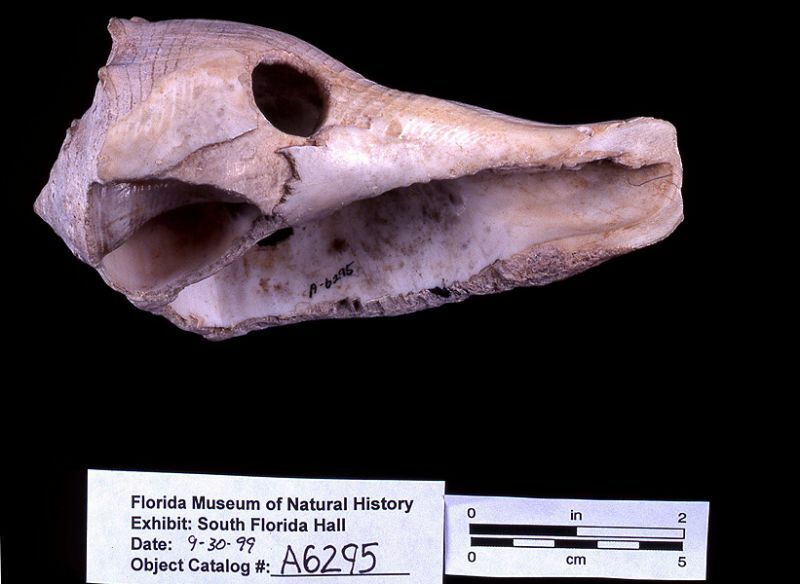 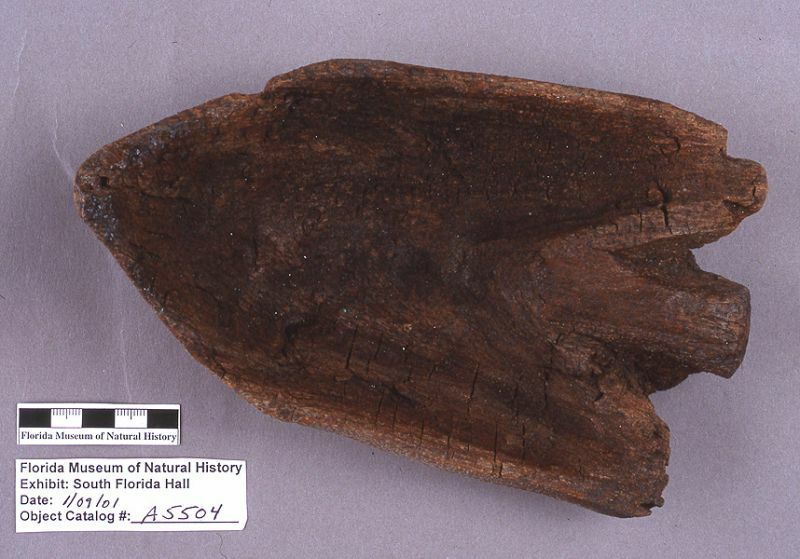 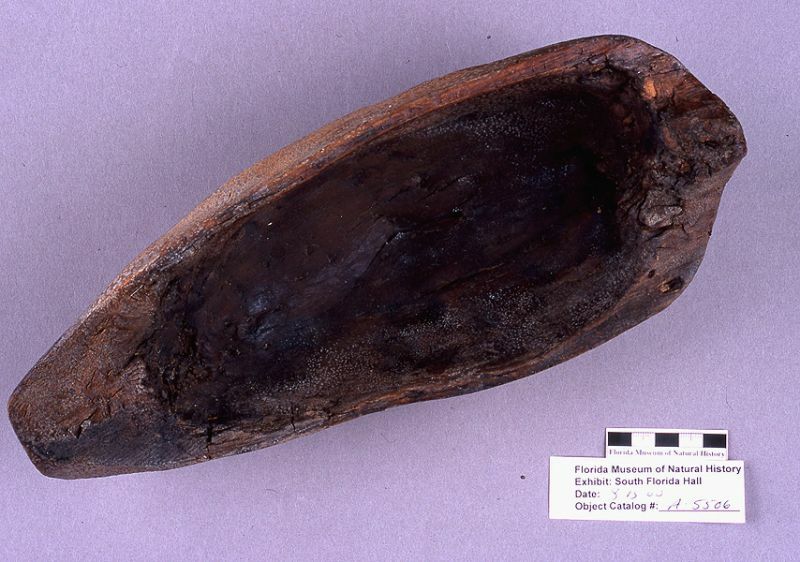 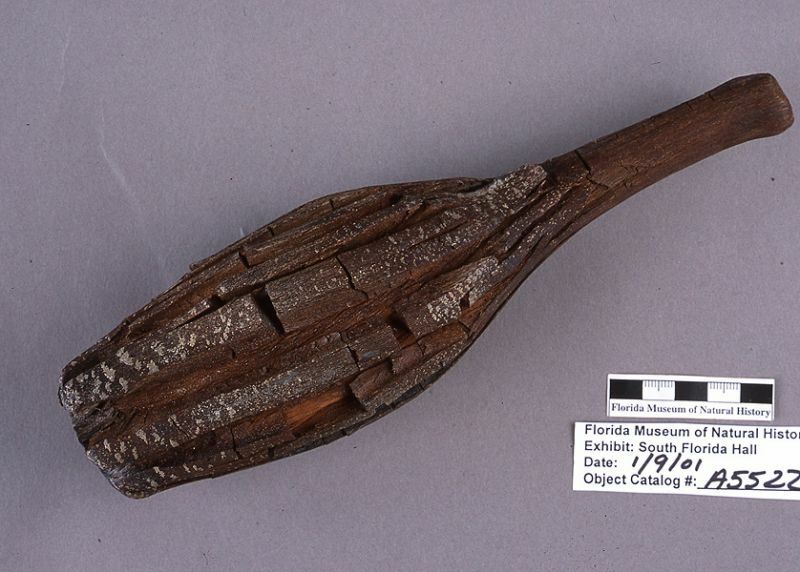 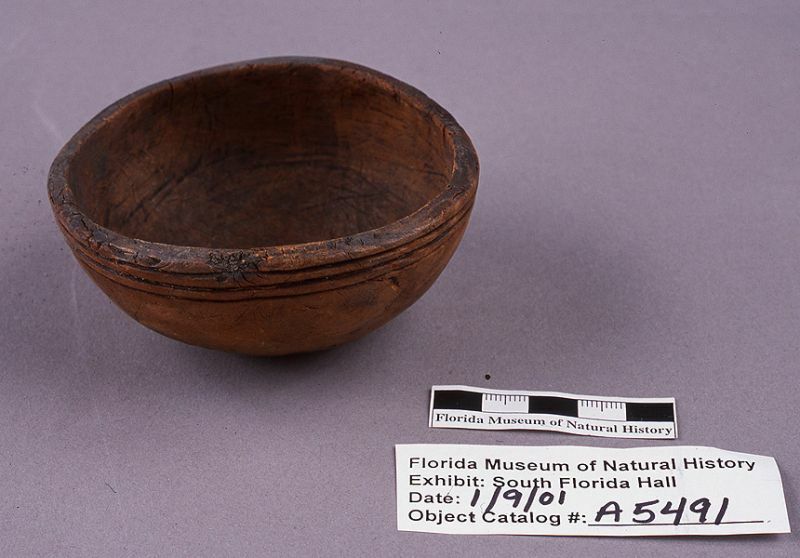 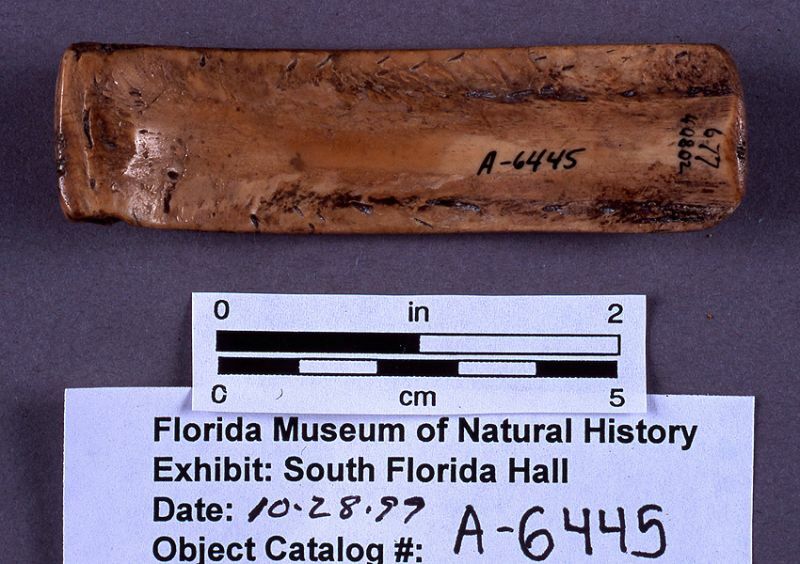 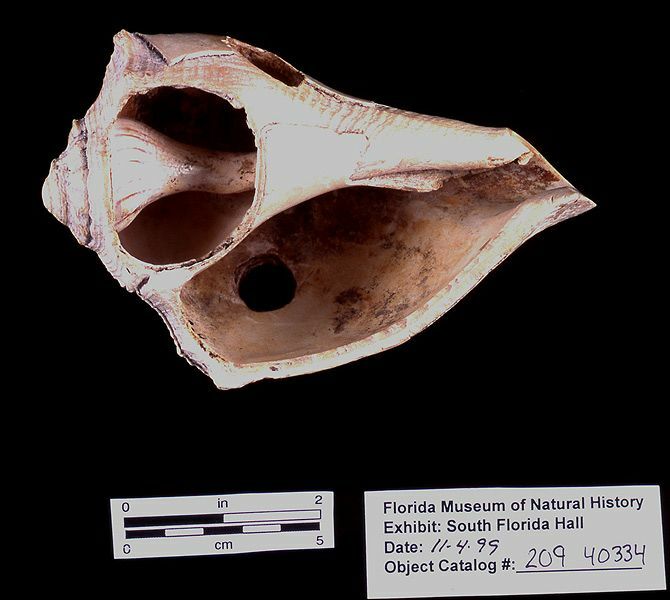 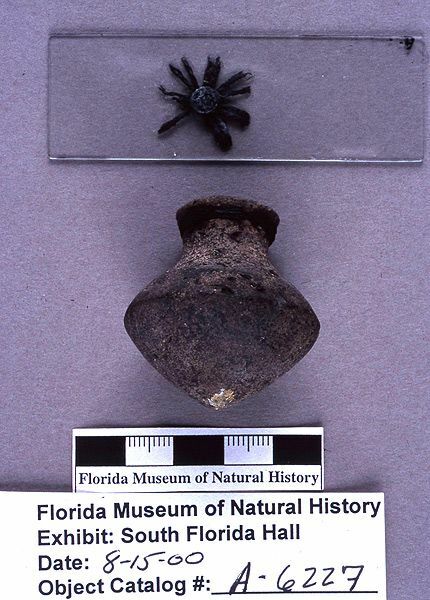 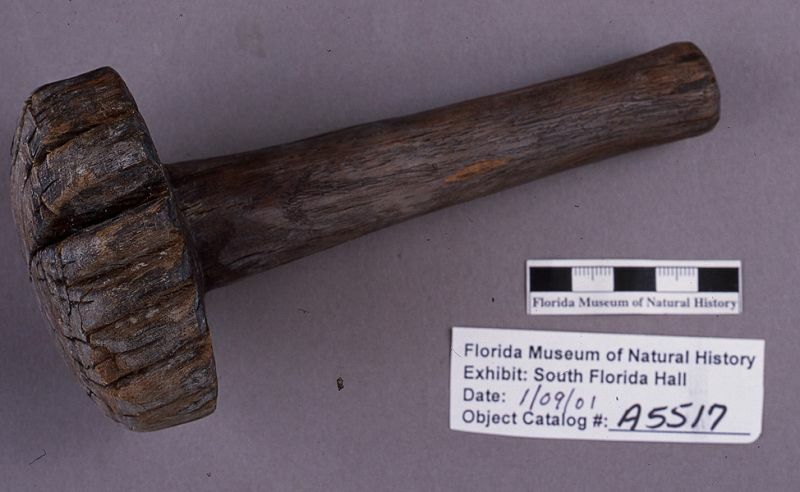 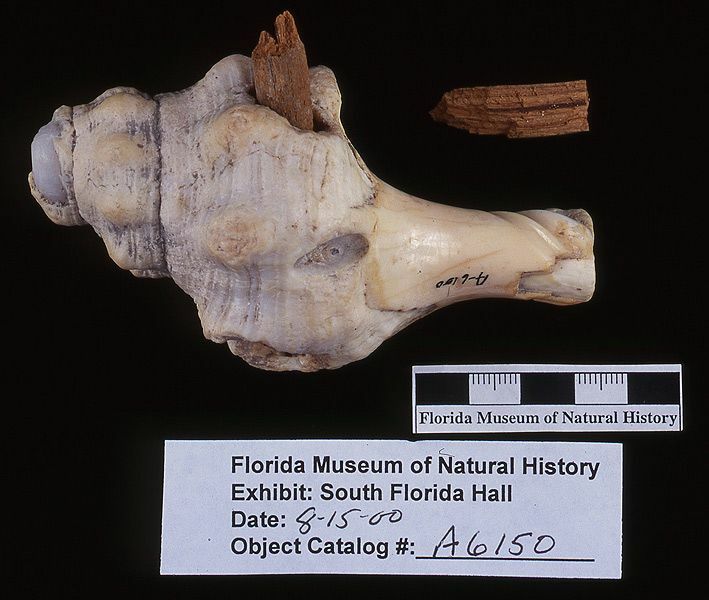 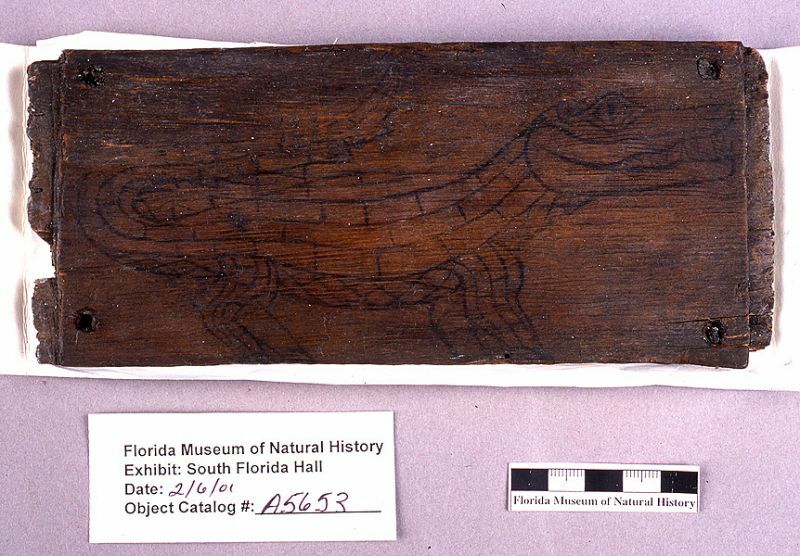 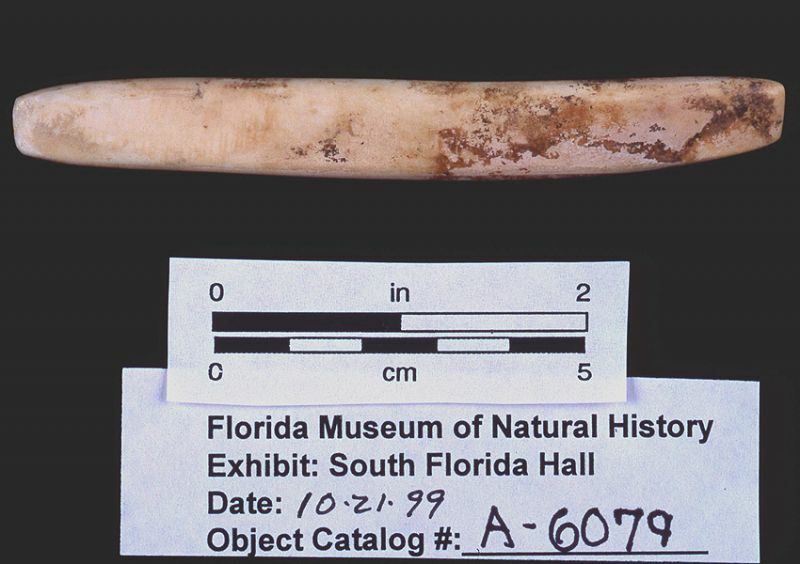 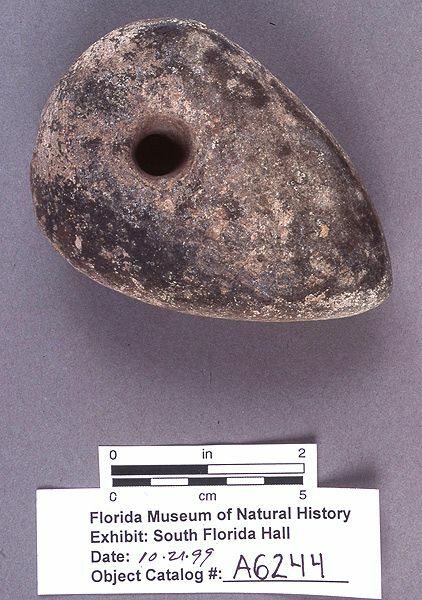 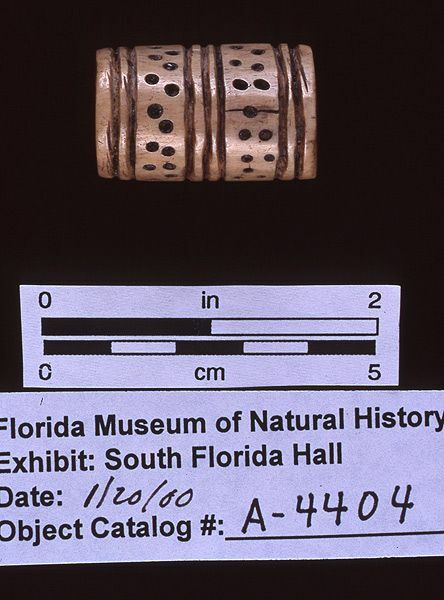 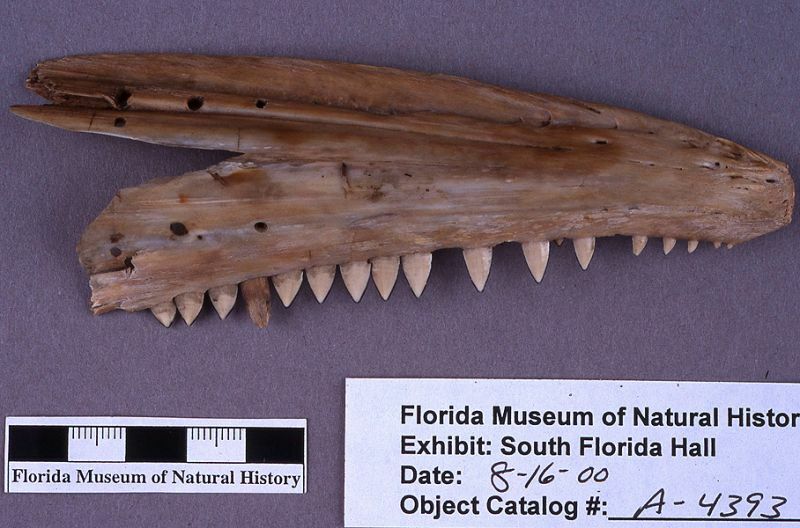 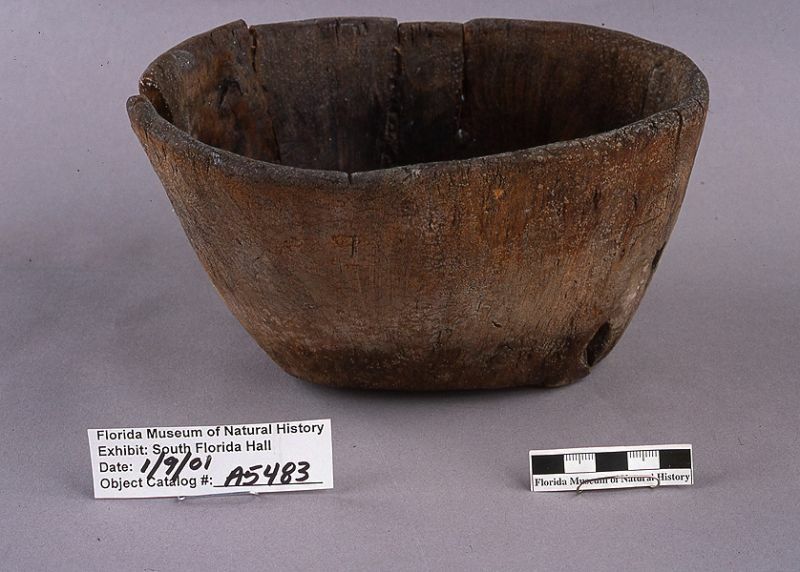 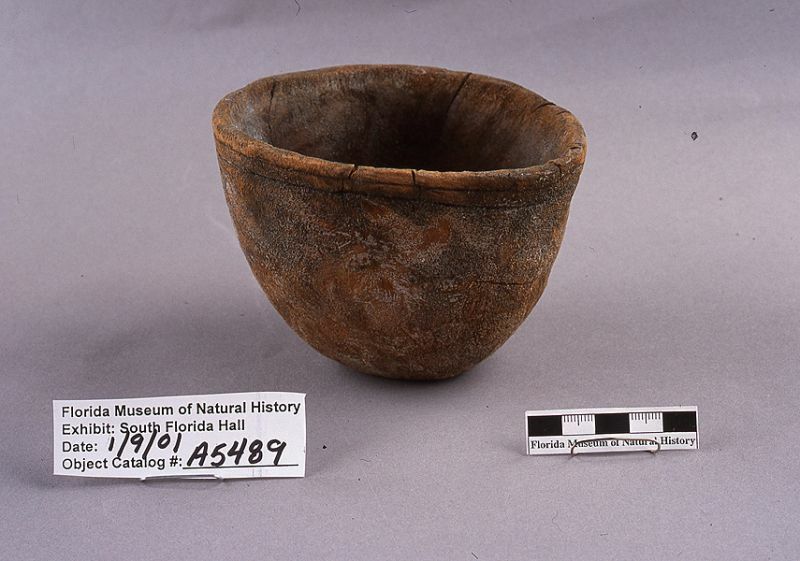 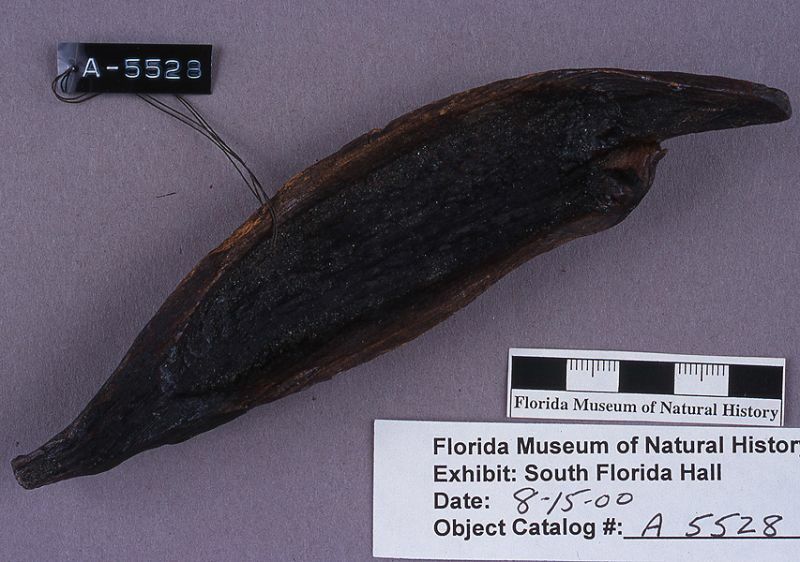 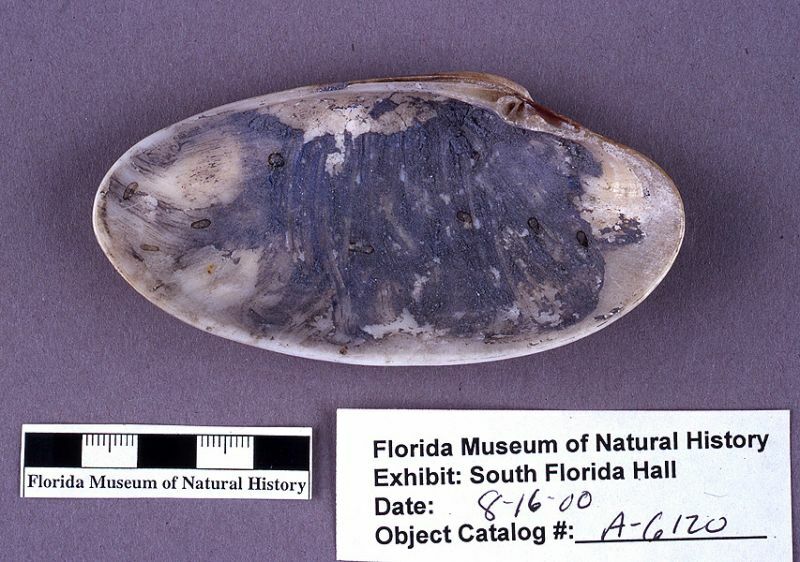 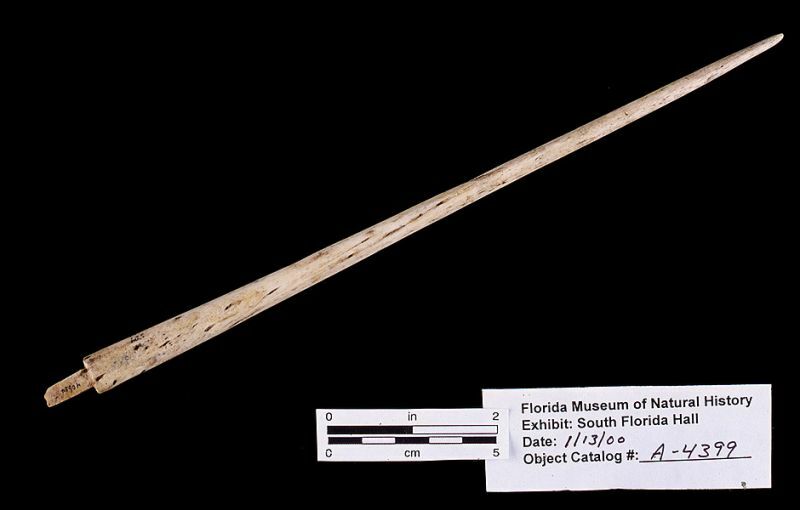 The Florida Museum curates over 600 artifacts of cordage, bone, shell, and wood (including bowls, clubs, painted boxes, the “woodpecker” painted plaque, stools, and some of the masks). 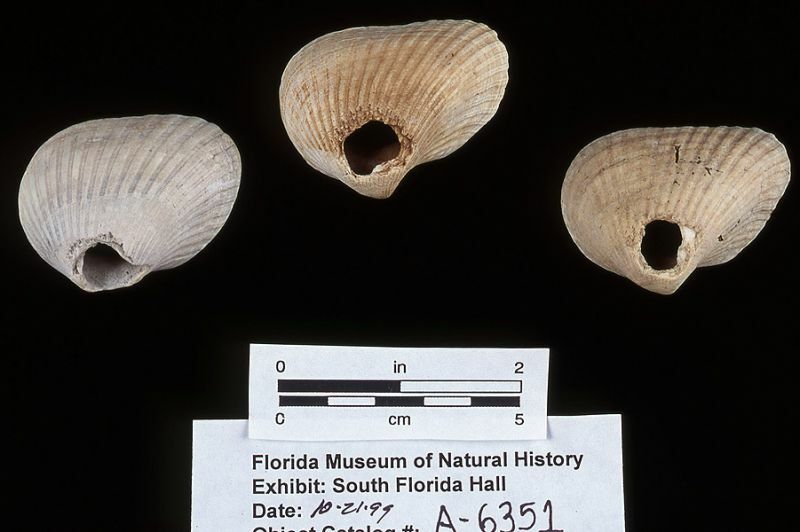 Our Key Marco holdings also include numerous examples of fishing gear, such as nets, net weights, net-mesh gauges, bone points and pins, and shell tools and vessels. 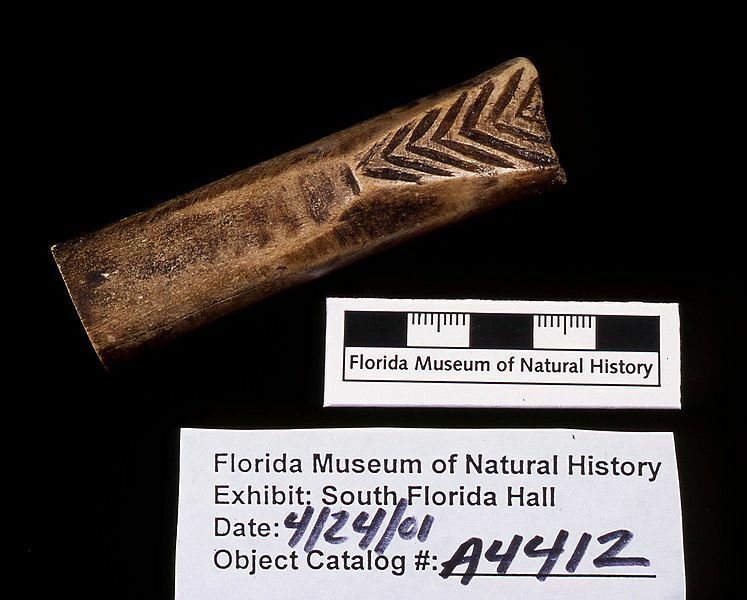 Some artifacts from Key Marco are on exhibit in the Hall of South Florida People and Environments.